To encourage visitors to the site we have created two free offerings, a Cradle Mountain guide and day walk map. Tools and Techniques for Creative Photography – Wow! 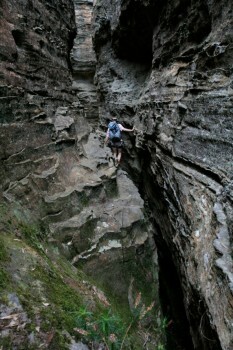 Tasmanian Wilderness Calenders – Two choices for 2011! 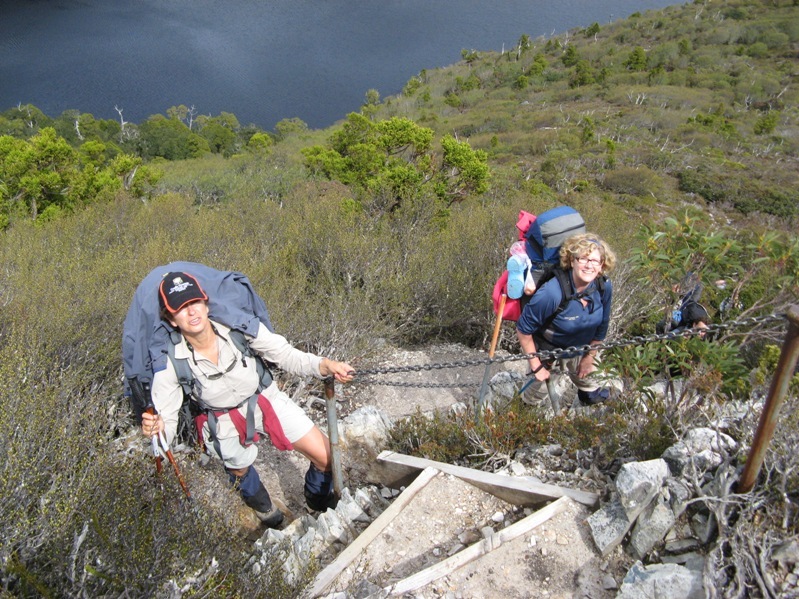 Bushwalking, peak bagging, canyoning, climbing, caving have all been a huge part of our special guest’s life for over 25 years. 1. How about a bit of background on yourself. Live where? Work where? I was born in New Zealand and came to Australia with the family when I was four. I grew up at Springwood in the Blue Mountains but since uni days I have been living in Sydney – in the inner west. I work as a high school teacher – so the holidays are good breaks for bushwalking. Koji has kindly agreed to share some photographs of a platypus he caught in the wild in Tasmania last week. 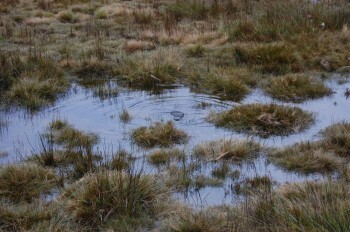 Platypus sightings are quite rare and we have never seen one in this busy day tripper area. My wife, her uncle and I went to Cradle on Friday for bushwalking and stayed at Scout Hut near Crater Lake. On the way back to Ronny Creek carpark on Saturday, about noon we walked past other hikers and they said to us they saw a platypus in a little creek along the boardwalk so we kept en eye out for that. As we approached the place we saw the platypus swimming along a creek. 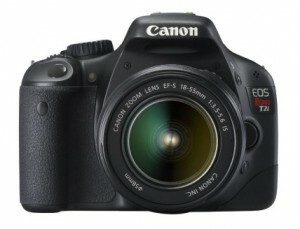 Travel Photography – this might just help you get great shots! 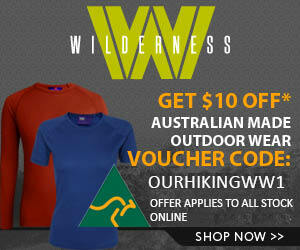 Ok, so hiking, bushwalking or tramping is a form of travel. No question. When we travel (usually by foot) we love to capture beautiful images of what we’ve seen or who we have met. It is a given. Bringing home fantastic photos of mountains, scenery, sunrises, sunsets or the people we meet are treasures. A pleasure to be enjoyed for years to come as we reflect on a great trip or spectacular vista we were fortunate enough to capture as a photograph. 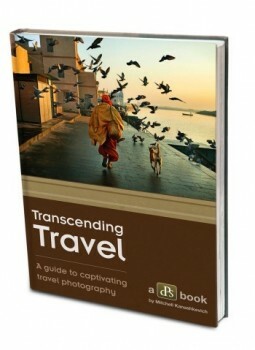 We were lucky enough to be sent a sample copy of a new eBook called Transcending Travel – A guide to captivating travel photography . 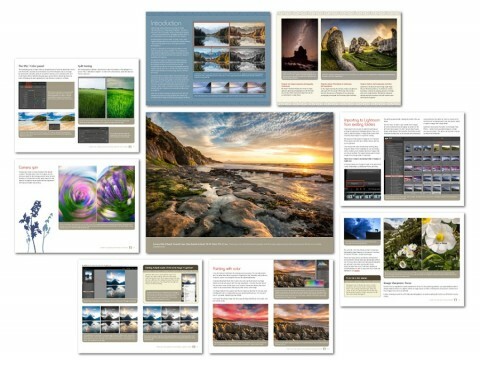 This is the latest in a series of high quality “how to’s” produced by Darren Rowse at Digital Photography School. Well worth a look, it has some great tips. In this article we interview Dennis Harding one of Tasmania’s leading (maybe THE leading) Wilderness Photographers. We met Dennis at Kitchen Hut, near Cradle Mountain in Tasmania a few weeks ago and following a quick exchange of contact information caught up by email and arranged this interview. 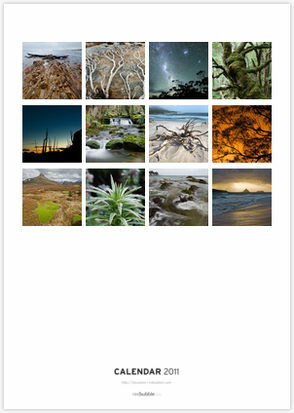 Dennis is the author of eight Tasmanian books and each year releases two calendars – “Spectacular Tasmania” and “Classic Images”. Of course there is also a DVD (which looks pretty cool) so you could say Dennis takes photography seriously. 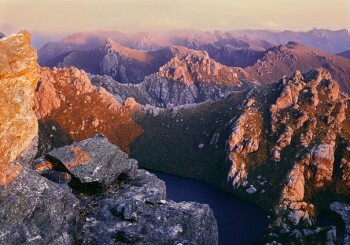 We hope you enjoy this insight into Dennis and the fantastic wilderness images from Tasmania he has generously shared. Our personal favourite is ……? What is your’s?